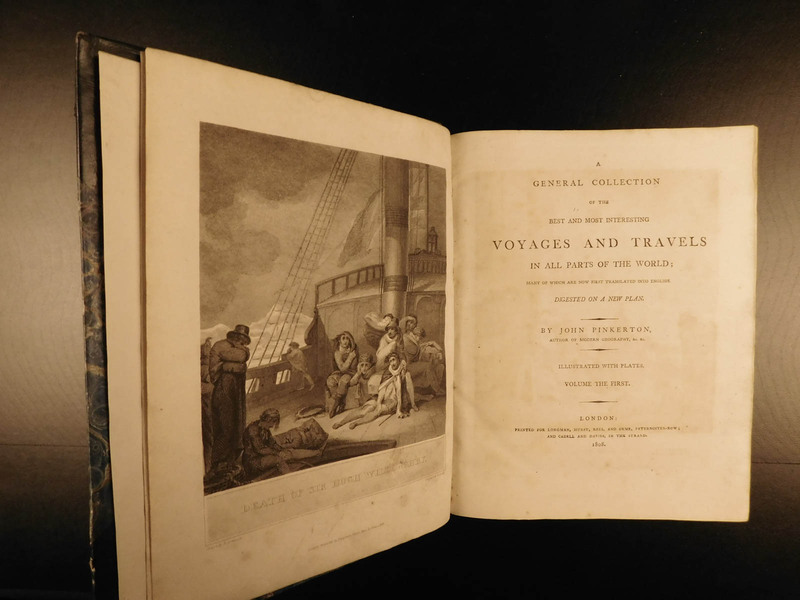 ‘A General Collection of the Best and Most Interesting Voyages’ is a monumental and important early 19th-century historical account of world voyages by Scottish historian John Pinkerton. 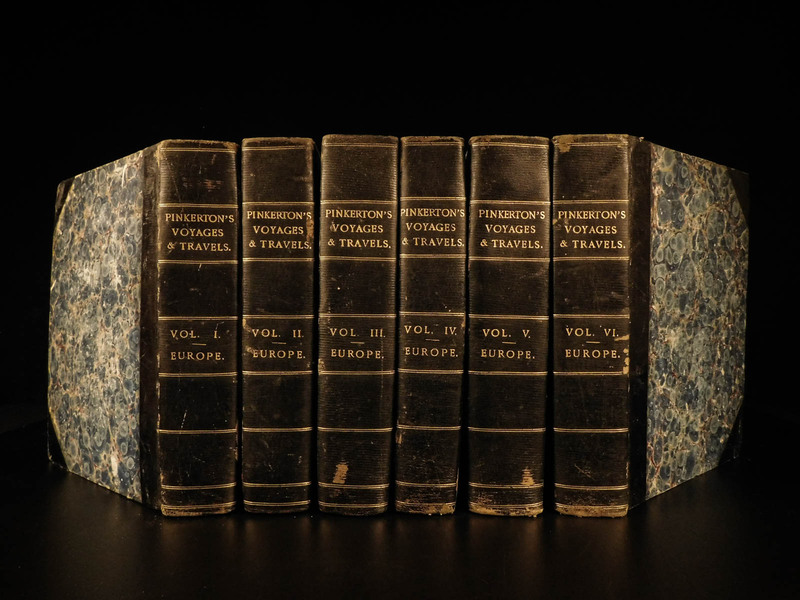 Pinkerton includes European voyagers as well as essays and treatises on voyages. This set is profusely illustrated with impressive, full-page engravings of many iconic European landmarks including Stonehenge Mont St Michel, Mount Etna, the Caucuses Mountains, Rhone River sources, city views of St. Petersburg and Stockholm, the Azores Islands, and impressive maps of the Sicily Isles and the Azores. This set is profusely illustrated with impressive, full-page engravings of many iconic European landmarks including Stonehenge Mont St Michel, Mount Etna, the Caucuses Mountains, Rhone River sources, city views of St. Petersburg and Stockholm, the Azores Islands, and impressive mapsof the Sicily Isles and the Azores. 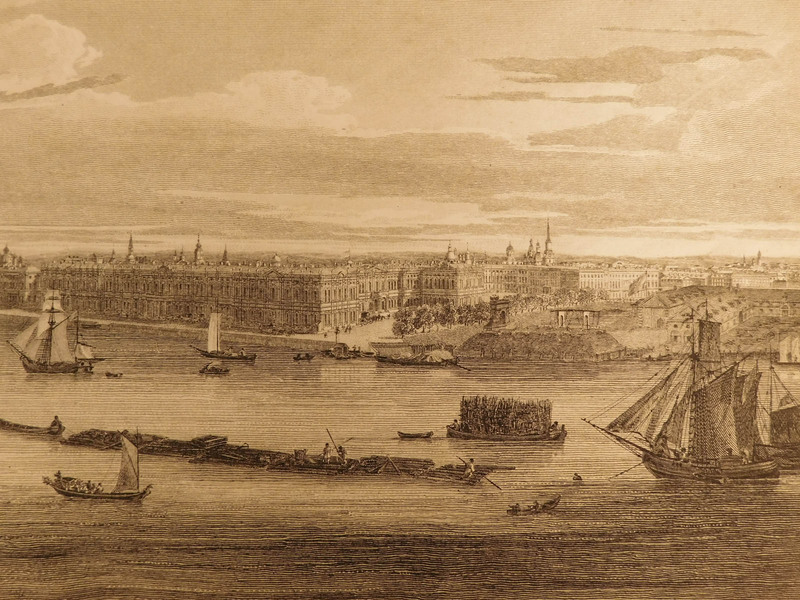 London : printed for Longman, Hurst, Rees, and Orme … ; and Cadell and Davies …, 1808.